Mobile industry experts tend to agree on the purported iSlate features such as multi-touch, WiFi wireless networking and a long-life battery. But, what would make the iSlate a truly revolutionary device? Mobile industry experts tend to agree on the purported iSlate features such as multi-touch, WiFi wireless networking and a long-life battery. But, what would make the iSlate a truly revolutionary device? I explore some possibilities below. Apple’s new product announcement is scheduled for Wednesday, January 27, 2010, at 10am PST. Click here for live coverage at the time of the event. Play live TV broadcasts that include local, national and international programming. The initial offering could have a select number of high profile choices. Broadcast networks and their advertisers would love the eventual demographic and local targeting. Built-in analytics would drive further interest and participation. Biometric voice authentication could be required to unlock the device, conduct monetary transactions or access sensitive data. Industries such as health care and banking are key verticals where Apple would like to get a foothold for their tablet device. Authentication would allow for admin-defined sensitivity settings where access to extremely sensitive applications may require more voice samples to verify identity. A keyboard would display on-screen similar to the iPhone, however, when your fingertips make contact, you’d receive touch-back feedback, providing unmistakable confirmation by sensors and actuators. The intensity level could be set by the user. Context-appropriate haptic (vibration) effects would make game playing more engaging, intuitive and natural. Furthermore, industrial and commercial applications would benefit from safer and more accurate control in distractive environments. Ultra-Thin OLED Flexible Displays and Batteries. If Apple employs OLED flexible display technology, the display depth could be paper-thin and the tablet could potentially be even thinner than the iPhone. Complementary thin, flexible battery technology could create some interesting form factors. While I don’t expect Apple’s first generation tablet to leverage a flexible display, it’s a strong possibility in future versions. The multi-touch screen would also work with a provided writing device. Creative professionals such as game developers, graphic designers, architects, animators, fashion designers and photographers would love the natural feel and accuracy that the writing device provides. Furthermore, students and business professionals could have their hand-written notes transcribed on-the-fly to typed text. Using the tablet as a sketch-pad would be a popular feature and the reverse end of the writing device could be used as an eraser. Publishing Rejuvenated. The timing is very good for publishers to find new revenue sources and Apple may be in the right place at the right time to help. Apple has the scale, payment and distribution platform to execute well. 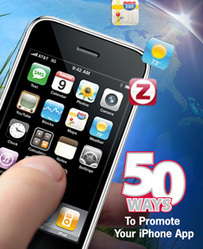 Apple’s Quattro Wireless acquisition and their advertising platform allows publishers to leverage their adverting base for ad serving on the iSlate and iPhone. Taking this one step further, Apple could eventually integrate location-aware pre-roll, post-roll and mid-roll advertising within their movie, TV and podcast content. Free Past Editions of Magazines and Newspapers. To instill new behaviors for how people browse their favorite publications, Apple’s tablet device could offer access to free past editions of a select number of high profile magazines and newspapers. I expect a reading-friendly form factor with features that include Apple-elegant page turning, zoom, rotating display, “mark-as-read” feature and bookmarking. Purchase, Annotate and Share Magazine and Newspaper Articles. The tablet could allow for annotations, highlighting or comments to be added as a removable layer. With a few strokes of your finger, you could share the document via email, Facebook, Twitter or other social network with or without your annotations. Similar to how Apple offered individual songs for sale at an affordable price, articles could be offered for sale individually, too. May the best written articles win. Actually, it’s probably more accurate to say, “May the articles with the best headline, abstract, teaser photography and reviewer ratings win.” Purchases of articles, full editions and subscriptions would be made using iTunes. Articles and/or books could be read to you. iPhone already has a similar feature found by accessing: Settings > General > Accessibility > VoiceOver. Select from a number of available male and female voices. Magazines and newspapers could begin to include embedded videos for feature stories and advertising content. eBook Teaser Content and Instant Downloads. Similar to Amazon’s “Look Inside” feature, best sellers, new releases and text books could offer previews of their table of contents, prologue, introductory chapters and the index. Apple has the potential to ultimately become the low cost provider of e-textbooks that serve students from grade school to graduate school. eBook purchases would be made using iTunes. Besides having built-in Wi-Fi wireless networking, the tablet could allow for iPhone Internet tethering. This would enable tablet users to connect to the Internet via their iPhone AT&T service plan. Would we use the Apple tablet more often if it were easier to make online purchases or to accept payments? Perhaps a built-in card swipe feature is in the works? Square is getting a lot of press with their mobile payment solution. iPhone Apps Compatibility, Synching and Multi-tasking. iPhone apps would wirelessly synchronize to the tablet and fully function in each of the following ways. Run any app full-screen. Perfect for interactive games and entertainment apps. Run apps in background. Ideal for music streaming Apps like Pandora. Run several apps at one time. Great for tracking real-time sports statistics while chatting with friends in Facebook and monitoring your Ebay bids. What features do you envision for the Apple tablet roadmap? Please leave your comments below. Tim Cascio is the author of the Mobile Marketing, Monetization and Methods blog, Co-Founder/Co-Chair of the Mobile Visionary Roundtable at the Illinois Technology Association and Sr. Digital Strategist at Bader Rutter & Associates, an award-winning integrated marketing services agency that specializes in advertising, public relations, brand asset management, relationship marketing and digital solutions. Tim is @timcascio on Twitter and can be reached in the United States at 262-938-5543. Please reach out to me if there’s any way I can help you through my network or otherwise. Your comments below are welcome. Not sure that these features themselves are really what makes this device game changing as many of the capabilities you describe are already available in some form or another. What really is interesting here are the 1000s of software developers out there that will develop applications around these capabilities. I was curious about what Apple would indeed release, but I had my doubts about what they would actually put into this new device. Since I first started thinking about the need for a mid-tier device between the mobile phone and the laptop, concluding the need for a mini-tablet, in the past couple years we’ve had emerge netbooks and also ereaders. Those two alternatives have really risen the bar for how a mini-tablet or ‘iPad’ could be a game changer. For me, what I’m looking for is a simple yet robust device that allows me to have a light, flexible, and versatile window into all my connectivity needs. 1) Voice activation, Voice commands, & Voice type + recording: When I think of a touch screen device, a REAL one, I don’t think the proper interface is typing on a screen. I think it is awkward and inefficient. A real game-changer would be get rid of the mouse, get rid of qwerty, and change the way we input information. Of course, there can always be a virtual keyboard when needed, or when voice is not appropriate (like in a meeting), but, a 9-inch screen should not be accessed by thumbs, and is really uncomfortable for efficient typing. 2) Multi-tasking: You’ve mentioned this already, and I think this is imperatively essential. Not that it has to be the same kind of OS and platform that we are used to in a netbook/laptop, but, some other form of convenient multi-tasking is extremely crucial. 5) Really good graphics. All I really want is for this thing to be an awesome viewing apparatus. I want it to have enough processing power to show me things the way things should be seen. Maybe in the future with augmented reality and/or 3D technology. I don’t need it to have the kind of processing power to run complex gaming or heavy computing calculations. I would expect all the heavy heavy computing lifting will be done through cloud-computing. I would want this thing to be simple, light and be my window into where the real activity is going on: on the internet. Thats really all I want. I don’t need it to have every knick-knack out there. Even a camera may not be that necessary for this thing. For me this should be my central nexus/hub to pull in all my disparate information from my disparate devices and formulate the best window for my information. Thats it.